SOUTH Africa’s Department of Mineral Resources (DMR) was urged by parliament’s Portfolio Committee on Mineral Resources to ensure the activities at the Grootvlei and Orkney gold mines were not repeated at the coal and uranium mines owned by Tegeta Resources which has placed them into business rescue proceedings. The committee was referring to events seven years ago following the failure of Aurora Empowerment Systems whose directors stripped the mine of its equipment which were then sold before declaring insolvency. The workers at the mine were left destitute. 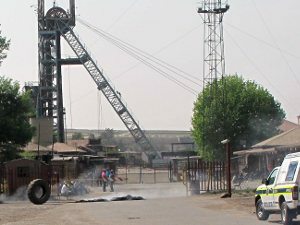 Gupta-owned Tegeta is a parent company of the six mining operations – Optimum coal mine, Koornfontein mine, Shiva Uranium, Brakfontein, Idwala and Vryheid Revival – which account for more than 4,000 jobs, said news service African Network Agency in an article published by the Citizen newspaper. Workers at the mine have gone on strike since February 21, demanding their salaries and answers about the security of their jobs since the whereabouts of the shareholders, the Gupta family, cannot be traced and payment to employees and suppliers has dried up, said the news agency.